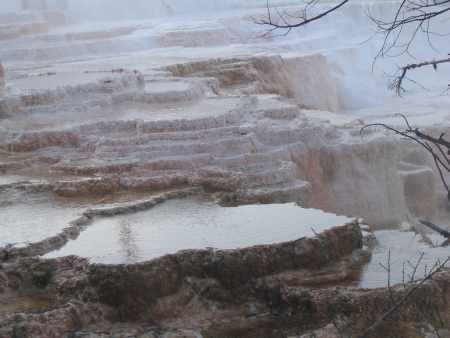 The white, lacy travertine mineral formations take the shape of frozen ghosts or delicate snow palaces. Picking their way between them were enormous, unafraid families of elk, crossing the park road with leisurely nonchalance. I bought an SUV this summer, and took it, my children — Nicole aged fifteen and Randall aged ten — and a large quantity of trail mix, out on the road this summer, through a thick slice of the American West including Utah, Idaho, Montana, and Wyoming. Along the way, we experienced many sublime moments as the miles rolled under my wheels, and we made our way from Los Angeles to national parks and monuments including Cedar Breaks in Cedar City, Utah; Craters of the Moon, Idaho; Glacier National Park, Montana; Yellowstone and the Grand Tetons in Wyoming. Sure, there were some swaths of dull major interstate traffic, road construction tedium, and the circumnavigating of a few urban enclaves, but we more than had our share of great driving days. 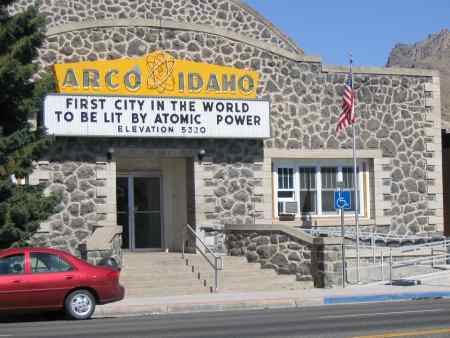 One drive led us from Pocatello to Salmon, Idaho, with a stop at Crater's of the Moon National Monument and the town of Arco along the way. Following Interstate 15 to U.S. 93/20/26, the farm fields, railroad tracks, and Indian reservations around Pocatello gradually disappear as the sharp grey rocks and pine trees dotting the hilly landscape diminish into flat prairie. The golden grassland is bordered by distant sandstone cliffs and a virtually empty, sun stroked, blacktop two-lane. We made a stop at Energy Breeder Number 1 - the first nuclear reactor to produce electricity in the U.S. With both my kids raised on Homer Simpson's employment in a nuclear power plant, the self-guided tour was a must. But this historic outpost of technology was no cartoon. "We're standing inside the nuclear core," Randall gloated. Nicole was a little less sanguine. "Do you think it's still radioactive?" 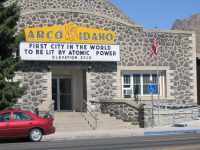 A few miles ahead is the small town of Arco, which boasts 'First U.S. town powered by nuclear energy.' It also bears the distinction of enormous granite boulders towering on a steep hillside, tattooed with the class years of local graduating high school seniors stretching back into the 1890s. The painted boulder field looks like an art project from another planet. 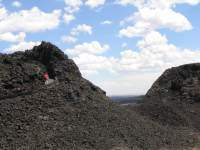 Craters of the Moon National Monument is further east on a spur road, a short and easy trip. Heading out to Craters, the heat quotient rises in the summer and the roadside scenery changes again, quite dramatically, to what resembles the surface of a charred black moon. The shiny black obsidian rock and grey volcanic ash hold the sun's heat, making the landscape shimmer and sun-screen melt. A large part of the loop road around the caves and craters is one way; on a windy, empty, hot afternoon you feel like it's just you and your shadow slipping past the steep cones and twisted lumps of lava. 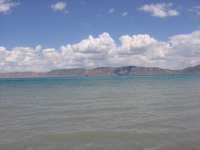 Colours are reduced to black rock and black road and the incandescent blue sky above, with occasional patches of grey stone and ash the only moderation between them. Doubling back through Arco to rejoin 93 North, we made a late afternoon drive up to Salmon. It took us four hours to go only 160 miles, but each mile was sweet. You wouldn't want to hurry if you could. The valleys and hills changed from raw rock and brown grass to verdant green around constant but gentle curves, rises and dips. The Salmon River, clear and blue, stumbled over rocks and crisscrossed the highway, disappearing and reappearing like some magic had moved it. Boulders of red and pink and brown jutted out along S-turns affording gracious views of small towns, red barns, and poetically grazing cattle and horses. We took a detour to see the enormous, grassed-over maw of an earthquake fault line, and were drawn further up the graded dirt side road to the base of a low mountain, golden in the fading sunlight. There was only us and wind and crickets and an enormous hush, broken by the hum of our tires over gravel. Back on 93, the only car on the highway now, the road gradually lowered itself until we were parallel with the river, alternately wide and narrow, the sky a sunset pink, then a twilight silver, the moon rising. 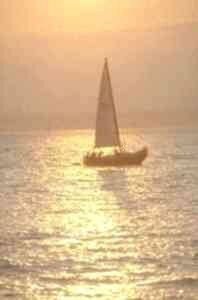 About eight p.m., with sunset turning into memory, we rolled into Salmon on the heels of a thunderstorm. The clouds were still rumbling and the streets glossy and puddled. Like our drive on Idaho's scenic 93, traveling Going to the Sun Highway through Glacier National Park was a special excursion, although not as solitary a route. At times we inched along behind twenty cautious vehicles to an observation point; at others - usually on the steepest, narrowest grades - we hung alone on the crest of the narrow road like a clumsy wheeled bird afraid to take to the sky. There were frequent pullouts to admire the views of raw cut glacial rock, snow capped peaks and the ice fields of the glaciers. And at each stop, along with the requisite snapshots, there was almost always the same conversation with other drivers. "How fast are you going?" "Did you see that part where the road was, like, crumbling?" And, of course, the ever popular, "wow, look at the view." Sadly, that view is diminishing, for global warming has claimed more glacial ice in the past hundred years than in the previous thousand. About midway through Going to the Sun Highway, you'll reach Logan's Pass and a popular three mile round-trip hike to Hidden Lake overlook. It's gorgeous but easy, some of the path is even paved, none of it terribly steep. Another three miles takes you down to the clear azure lake itself. Along the way we saw mountain goats, fearless of the tourists, close enough to paw shake if you were so inclined; glacial lakes, patches of snow and ice and wild flowers, including massive clumps of lupine. One caveat: pack a picnic. For us, there was bottled water and our ubiquitous trail mix. Chasing down a meal, we headed past the fierce aquamarine of St. Mary's Lake, descending out of the park and into St. Mary's, then south west to the town of East Glacier. A short cut down Highway 49 leading to this small reservation community was much more nerve thrilling than Going to the Sun. Without the luxury of park service maintenance, this back road featured interesting curves marked 'rough brake' - apparently meaning that suddenly things could be very rough indeed if you did decide to brake. The road itself would suddenly vanish into a narrow, one lane snake of gravel hugging the edge of a cliff. The views were pretty, but this is not something you'd want to do after dark. If you're returning West remember that's the direction the sun sets, and following Going to the Sun can be a blinding as well as spectacular trip. You can also follow the Snake River on the smooth, easy curve of Highway 2 which circumvents the park from East Glacier. We found another fine drive heading south from Whitefish, Mt. toward Yellowstone. It began on Highway 83, a thin grey line on the map that dipped through surreal banks of early morning fog as it wound past crystal blue and icy cold Swan Lake. A short stint of freeway driving on Interstate 15 - albeit mostly open with some nice mountain vistas - made us more than ready to pick up another classic two lane, U.S. 89 into Gardiner, Mt. and the North Yellowstone entrance to the park. 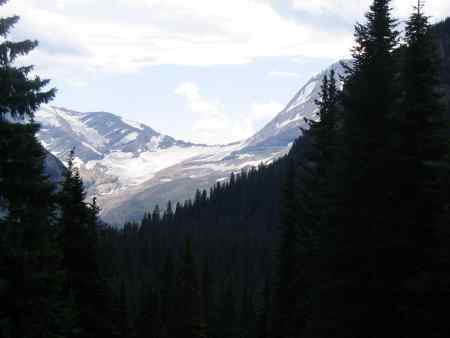 Highway 89 is bordered here by striking mountain vistas and rolling, verdant ranch land. The low lying Yellowstone River sparkles along the route as it narrows into a rock canyon just before reaching Gardiner. The town has some charming restaurants, weathered, neon-lit bars and enough motels to service travelers, but it's not the chain motel and restaurant mecca of West Yellowstone. We liked it that way. Entering the park, we passed through the classic Robert C. Reamer designed stone arch dedicated to Teddy Roosevelt. Height of the day crowds thin in the late afternoon and we had the amazing Mammoth Hot Springs area more or less to ourselves in the blue and gold shadows between five p.m. and full dark at nine. Travertine terraces and hot springs bubble with steaming blue green water. The white, lacy travertine mineral formations take the shape of frozen ghosts or delicate snow palaces. Picking their way between them were enormous, unafraid families of elk, crossing the park road with leisurely nonchalance. Starting off at 7 am the following day we meandered through the western sections of Yellowstone, taking in many spectacular and well-known sites from the tremulous fountains, geysers and bubbling mud pots of the Norris Geyser basin to the Upper, Lower, and Midway Geyser basins, including Old Faithful's show. Stopping to hike both on and off the popular boardwalk trails along the way, we had the good luck of catching the once-a-day performance of Bee Hive Geyser, near Old Faithful. In the late afternoon, we crossed the park, circling enormous Lake Yellowstone with steaming geysers along its rim, to the east exit. There we followed the Absaroka Mountains down Buffalo Bill Highway, marked U.S. 14/16/20, into Cody, Wyoming. This is another incredible road, made even more stunning with the shadows of sunset turning the dusty mountains purple, and the sky a feverish orange. Rock plateaus with justifiably evocative names like Elephant Rock and The Holy City, the startling blue water of the Buffalo Bill Dam, make startlingly vivid scenery. This route was easy, wide, and well maintained, and we were able to make the 8:30 am start time of the Cody Rodeo. Justifiably well known and recommended, it's a blast of cowboy expertise and non-stop action including bull and bronc riding, barrel racing, and rodeo clowns; while just outside the arena vendors offer souvenirs, mechanical bull rides, and the opportunity to pose for photographs on a real Brahma bull. The heavily local crowd seemed to know we were tourists. As my daughter petted the bull's face, another teenager voiced the sentiment that it was a "mean old stupid bull." My animal-lover daughter disagreed. "He seems like a sweet old bull." 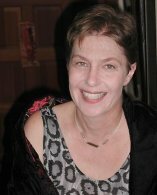 The other teen smirked and asked her where she was from. "California," she replied. The boy laughed. "No wonder." Along with the rodeo, Cody is also known for another fine attraction, the world class Buffalo Bill Cody Museum, with awesome historical, natural history, and Native American cultural displays. Another day of driving through Yellowstone Park took us as far northeast as the Grand Canyon of the Yellowstone and up close and personal with herds of buffalo; then south to the lake-front geysers and mud pots of West Thumb Basin near the entrance to Grand Teton National Park. Driving south through the Tetons, the landscape seems both familiar and surreal. You feel like you've already seen it, this province of car commercials and technicolor Hollywood westerns, but seeing it again, for real this time, you're awed by the imperious abruptness of the stark mountains. The Tetons have no foothills and rise with immediate, authoritative majesty around the shores of Jenny Lake and Jackson Lake. Much less well known, but also beautiful, are the Bear Lake and Logan Canyon areas bordering Wyoming, Idaho, and Utah southwest of Jackson Hole and the Tetons. Pristine pine forests surround Bear Lake, an anomaly among the icy lakes of Glacier and the Tetons. So warm you can swim in it comfortably in the summer, it draws a family crowd of beach-goers, boaters, and ski-do enthusiasts to its bright aqua water and soft sand beach. Dirt road access brings you right up to the shore line, less than a mile off route 89. And right on 89 you'll find some of the best fresh raspberry freezes and shakes in the universe at a variety of family-owned roadside restaurants. The burgers are pretty fine driving food, too. At the tail end of our trip, we crawled into Las Vegas in a traffic jam that appeared like a mirage out of the nowhere of the desert. In spite of the tie-up, we realized how much we loved just driving, even that last day, inching along in the hot Nevada night past the sand and cactuses into a neon blur, engine noise, and heavy-on-the-bass car stereos. We'd driven 4,100 miles in 14 days and we were going to miss it. Even as we pulled into our own LA driveway, I could still hear the seductive hum of my tires on asphalt and gravel. We loved pointing our wheels down roads that took us, and can take you, on drives ultimately as rewarding as our destination. I guess the new SUV proved itself pretty well! If you enjoyed reading the above article then you will probably also enjoy Sierra Nevada by Genie Davis, and Downeast in Maine, also in North America, and our latest articles covering the Orinoco Delta, La Mata, Marbella and Beijing.